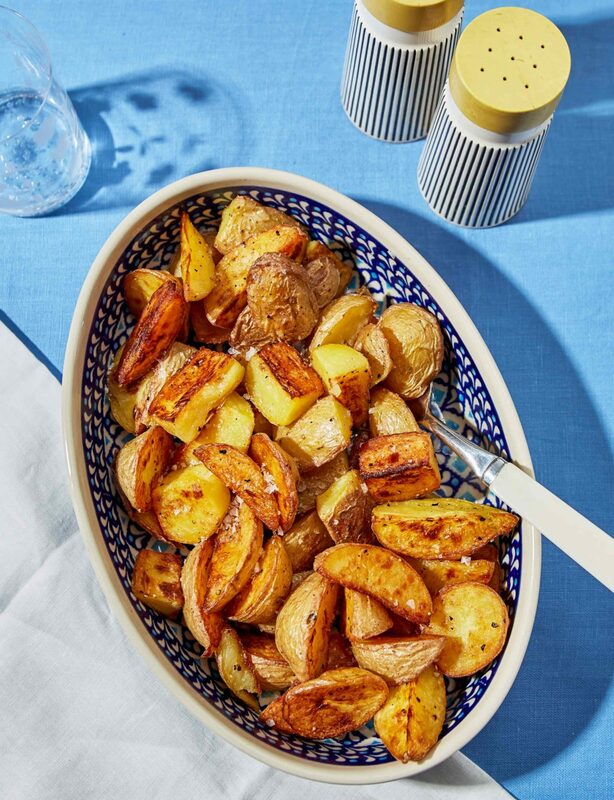 You can make this chicken fat-roasted potatoes recipe with olive oil instead of chicken fat, but chicken fat infuses the potatoes with mild, savory, and soul-satisfying flavor. Preheat the oven to 425°F. Place the potatoes in a medium saucepan and cover with water by 1 inch. Add 1/2 teaspoon salt. Bring to a boil, reduce the heat, and simmer until the potatoes start to soften but are not cooked through, 5 to 6 minutes. Drain, then let sit in the strainer for 1 minute. Pour or spoon the chicken fat onto a rimmed baking sheet and add the potatoes. Gently toss the potatoes in the fat to coat, then sprinkle generously with salt and pepper. Spread the potatoes into a single layer and bake, tossing occasionally, until golden brown all over, 25 to 35 minutes. Remove the potatoes from the fat, sprinkle with salt, and serve. 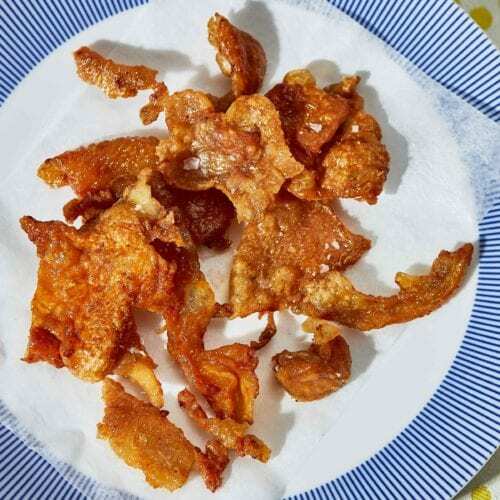 MAKES ABOUT 1/3 TO 1/2 CUP FAT AND 1/4 CUP CRACKLINGS Slow-frying chicken skin until it’s chip-crisp and golden brown results in irresistible crunchy and delicious cracklings, as well as rendered chicken fat that can be used as cooking oil. In a cold skillet, place the chicken skin in one layer. Turn the heat to medium-low. Cook the skin, turning often, until the skin is rich golden brown and completely crispy, 35 to 45 minutes. Using tongs, remove the crispy skin from the pan, letting any excess oil drip back into the pan. 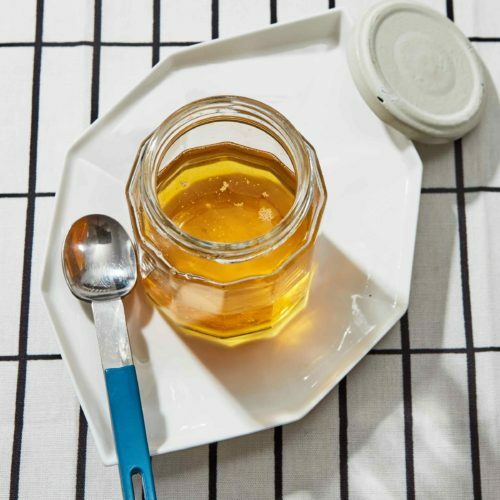 Transfer the skin to a small baking sheet or glass container and reserve for another use. Pour the rendered chicken fat from the pan into a glass jar with a lid.